Debby Galemore has been involved in the service environment for her entire career. She came to Realty Executives as an accomplished hair stylist as well as an entrepreneur in the wellness industry. Focusing on her clients’ needs has always been first and foremost for Debby. 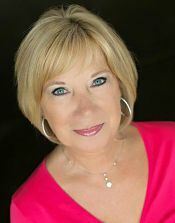 Her effective communication skills help her build strong client relationships that last well beyond the sale! That same skill set makes Debby a powerful negotiator and allows her to seal the deal for her clients. Her dedication to excellence, coupled with her positive outlook and energy has allowed Debby and her clients to enjoy success in the world of real estate.